Brad Paisley is one of country music’s leading men – admired as a recording artist, a performer, a songwriter, and a guitar slinger. This was not always so. 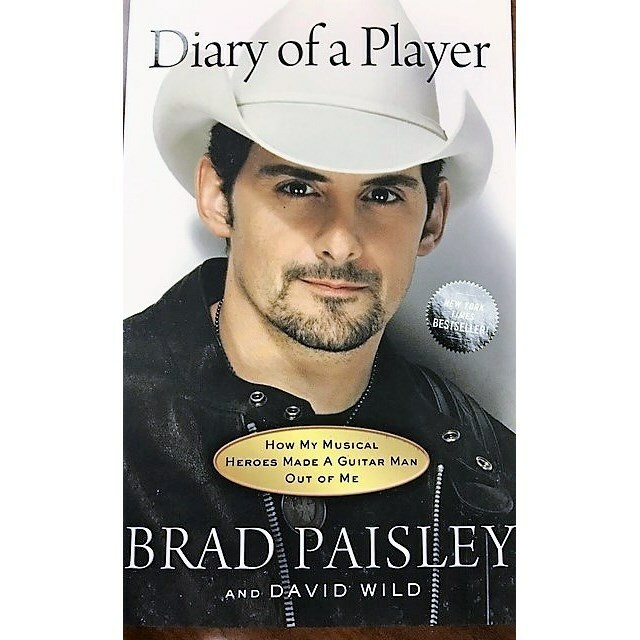 In Diary of a Player, Paisley for the first time fully retraces his entire musical and personal journey to date. And it all began with a loving grandfather who gave eight-year-old Brad Douglas Paisley a Sears Danelectro guitar – the Christmas gift that would alter Brad’s life forever. In Brad’s own works, we read the emotional tribute to his late great “PawPaw,” Warren Jarvis, who sparked his dream come true. Paperback only.